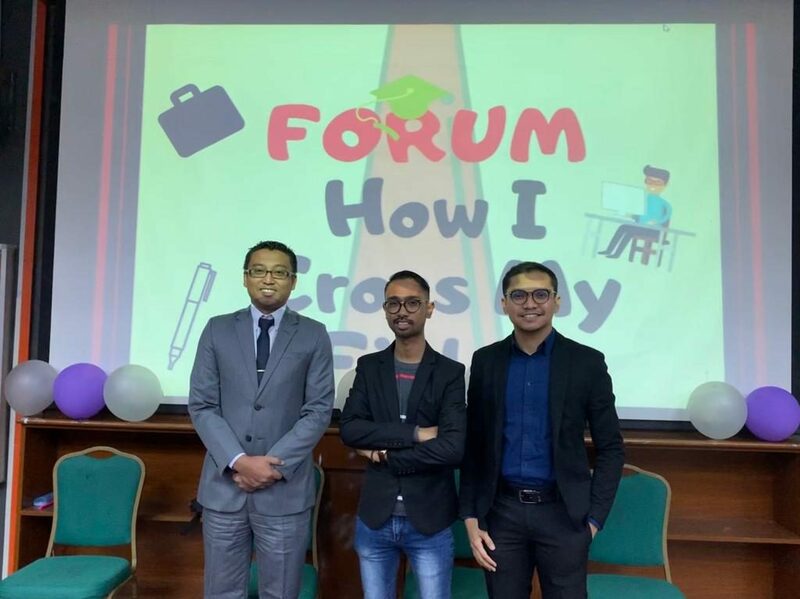 GOMBAK, 10 April 2019 – A forum entitled “How I Cross My Field”, enlightening students of career options available after graduation, was recently held to expose students on the nitty-gritty of finding jobs. The forum featured three notable speakers – Mr. Muhammad Fairuz Shafie, Chief Assistant Director in Prime Minister’s Department, Mr. Asrul Muhammad, Assistant Director (Corporate Communication) in Sustainable Energy Development Authority Malaysia, and Mr. Azreen Sani, Associate Planner and Custodian Manager indopek Channel in ASTRO. It was held in conjunction with Psychology Career Week 2019 organised by the Secretariat of Psychology. All the speakers were IIUM alumni who had taken different degree courses during their undergraduate studies. Fairuz, a political science graduate, had several years of working experience in banking sector before joining the Administrative and Diplomatic Service. Meanwhile, Asrul, who studied Sociology and Anthropology for his degree, had branched out to work in the Ministry of Health, Human Rights Commission of Malaysia (SUHAKAM), and now SEDA Malaysia. Azreen has a degree in Psychology, but upon graduation, joined SL1M programme before jumping into sales and marketing. He had also worked with Great Eastern Bank, and currently he is with ASTRO. During the whole session, the guest speakers outlined the clash between degrees and job prospects. According to the speakers, the degrees do not necessarily land the students in a related profession. Graduates may have a degree in a certain field but may end up working in other areas. Their personal experiences exemplify the reality of working in totally new sectors which are dissimilar or not related to their degree. It is therefore imperative for the students to equip themselves with essential skills, key traits, and understanding before venturing into the real work sphere, the speakers emphasised. Work experience was the main element highlighted during the entire discussion where Azreen and Asrul emphasised the importance of past working experiences to gain employers’ trust and confidence. “Work experience will enrich your portfolio. It also demonstrates that you are ready and trained to take up the position offered,” Azreen said. Meanwhile, Mr. Fairuz added, “Experiences built character and ability which will increase marketability of graduates.” He believes that soft skills are crucial to sell fresh graduates to the employers especially during interviews. “Graduates must know how to carry themselves when answering questions from recruiters. They must portray good qualities,” he said. 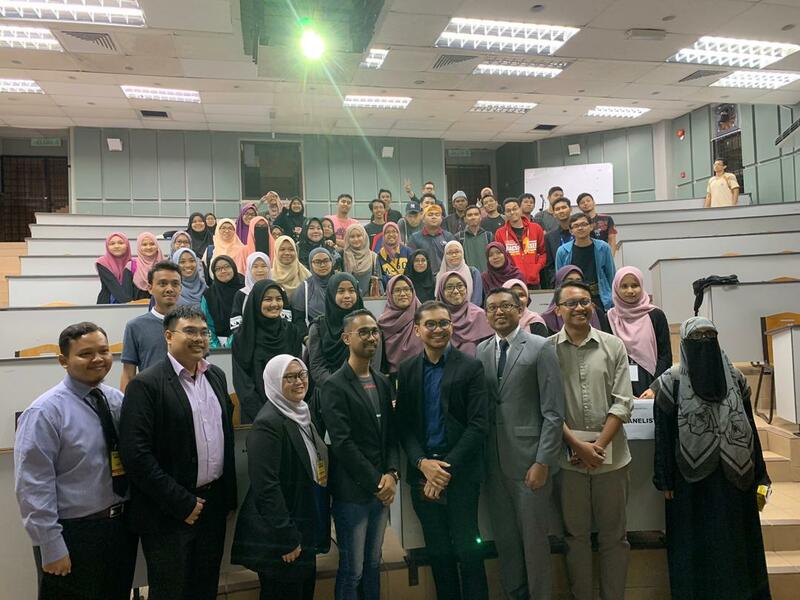 On the other hand, Asrul reminded the students to fully utilise the internship attachment to develop basic and extra skills such as interpersonal, technical and functional, communication and adaptability, which recruiters have always looked for in graduates. The speakers also stressed on the importance of high quality resume. “You must create a concise and precise resume which should not be more than two pages,” Fairuz said. Asrul suggested that the resume should be submitted to multiple companies to expand the opportunities and increase the chances of getting hired. “The resume sent must therefore be customised accordingly based on the position that graduates are trying to secure. Not one resume for all different offers,” he said. Moreover, students were advised to maintain commendable attitude while working with people. The speakers said that employees usually jump from one company to another or from one profession to the other, hence, they should always be humble, respectful, and passionate. “You need to show respect in both verbal and non-verbal behaviour. Then only you will be respected and your ideas will be accepted,” Azreen said. He underlined the praiseworthy qualities that employees should observe in their work culture. Asrul and Fairuz correspondingly told the students to inculcate good attitude to broaden their future job prospects. The interviewers, employers or recruiters will always observe and screen potential employees for their companies.